Jessica Prudell-Hazen, originally uploaded by losmedanosart. 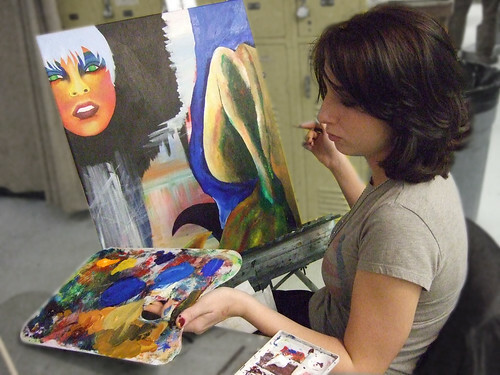 Jessica Prudell-Hazen works on her long-term acrylic paint project in Rosalie Cassell's Art 40 Intro to Painting class. Rosaile invites everyone to to come have fun moving gobby goops of color about in the real world.